Having an easy-to-use system for organizing and managing all your key business, financial, and tax-related information for your company can pay off all year long - not just during tax season. I do recognize that we are in the beginning of the busy fall season and addressing your filing system, or lack thereof, is likely not on your radar screen. However, the Fall season is a perfect time to create a more efficient and effective system. The objective is to create and maintain a filing system that is efficient and not overly complex. You won't only be developing a process, you will be creating a solid infrastructure for your company's future growth. Since I believe that this is a very important issue, especially for small businesses and their owners, I have collaborated with Stephanie Shalofsky, a professional office organizer in NYC and founder of The Organizing Zone. The first section of the article provides general guidelines and the second section, Appendix I, is a listing of the various income and expense categories that you may collect throughout the tax year. 1. Obtain separate checking and credit card accounts for your business so that fees and interest can be fully deducted. Reconcile and file statements monthly. Decide whether you'll file paper or digital copies and then set up a file folder for each year. Be sure to file the statement as soon as the reconciliation is done. 2. Track all your business expenses and keep receipts, invoices/bills and statements (bank and credit card) - everything that substantiates the amount and business purpose. A filing system is needed for these documents as well. 3. You can either scan and trash the paper or maintain paper files. In any case, set up the appropriate file folders each year so that the copies can be quickly accessed when needed. Create a process for archiving these files at the end of the year. 4. Some deductions for personal property used for business such as a car, computer, or cell phone are limited to the percentage of time these are used in the business. A process needs to be in place for tracking this usage, which can be setup through your accounting software or by using excel. 5. If you are not incorporated, you can't deduct distributions that you pay yourself. 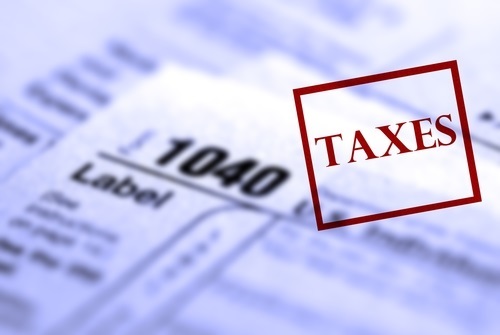 Be sure that all your staff who are gathering information for tax time are aware of this. 6. You can't deduct anything for which you were or expect to be reimbursed. This information should also be shared with staff, accordingly, via guidelines established for managing your financial information. 7. Retain records that indicate the business use of your home and expenses related to that use. Include home purchase date/price, date/cost of all home improvements, land value, total home square footage, and office space size. All this information needs to be kept for the length of time that you live in your home. Be sure to file it in a fire and waterproof container, where it can be accessed as needed. 8. If you use a car for business, maintain a vehicle log with date, destination, and purpose of each trip. Include total miles, separated by business, commuting (to work location or office), and personal. A system for collecting this information should be created. The tool can be a simple excel document or an expense report program. 9. Business property purchased, such as furniture/fixtures; vehicles; equipment/tools; computers; software; leasehold improvements; and websites/other intangible assets: Save information regarding purchase date; cost (including sales tax paid & shipping/handling fees); and date first used in business. Using a combination of hard copy files for key documents plus your accounting software program will enable you to have access to this data whenever needed. 10. Some type of tracking app is a necessity to track assets contributed, start-up costs, loans, revenues, costs of sales, operating expenses, various taxes, and budgets. Determine the best system for tracking this information for your company and then introduce the appropriate tools for managing it. The solution must be customized to your specific situation to be effective. 11. Establish health insurance coverages and retirement plans for yourself and employees. As there may be regulations that mandate how this information is kept, be sure to familiarize yourself with them prior to setting up a filing system. 12. Save all copies of federal and state filing forms and reports. Create a company archive (electronic or paper) for this type of information and consult with your accountant concerning the length of time that these documents must be kept. The archives need to be accessible to only those who manage the financial data for your company. Including a level of security when creating your file archive protocol should be considered. I can’t stress enough the importance of creating a well-organized filing system to keep track of your company’s financial information. I encourage you to take a few minutes to do a quick assessment of how well your systems are working - or not. So, be sure to schedule time in September, before your fall activities are in full swing, to review your current system for handling your company’s financial information. Think of this task as an investment in your company and its future growth. I know that you’ll be pleased that you did. Sallie Mullins Thompson is a CPA financial planner and tax strategist, who works with small business owners, families, and executive–level professionals, desiring to address tax, investment, money planning, and asset/cash flow protection issues. Her holistic methodology is a clarifying process that enables her clients to effectively navigate their financial lives. What sets Sallie apart from alternative solutions is that tax ramifications are incorporated into all decision- making, resulting in more disposable income and a lower income tax liability. With over two decades of experience in the financial services industry, Sallie believes in putting her clients' best interests first, while helping them grow their business; create wealth; prioritize financial goals; and pursue their dreams. Stephanie Shalofsky, a professional office organizer in NYC and founder of The Organizing Zone, works with small companies having up to 25 employees, as well as with solopreneurs working in home offices, to gain control over their work environment, improve their productivity, and enhance profits. She combines her training as a Certified Productive Environment Specialist, along with her non-judgmental and empathetic style, to help business owners create highly functional and organized workspaces. Her clients find that going from disorganized to organized also clears the mind allowing them to better focus on work and accomplish more in less time, thus freeing them to do the things that are most important for business growth and success. Below is a list of the various types of income-related information, which may exist in a combination of hard copy form as well as electronically. Regardless of the filing method, the data must be organized, entered, and filed in a manner that will allow for easy access when it’s time to prepare your income tax return. Below are examples of expenses that may need to be tracked during the calendar year. Whether they are deductible, will be dependent on the type of business you have. Check with your accountant or tax CPA for details. Payroll, sales, and use taxes, including processing fees. Health and LTC insurance premiums for self, family, partners, shareholders, spouse’s employer-provided insurance, and employees (HRAs, group coverage). Workers’ Comp, mandated disability coverage, and other employee benefits. The following additional expenses can be tracked as applicable.